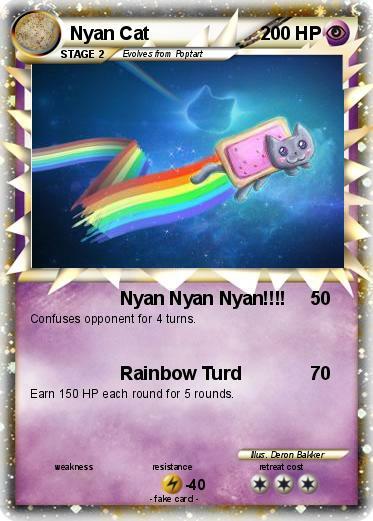 Attack 1 : Nyan Nyan Nyan!!!! Confuses opponent for 4 turns. Earn 150 HP each round for 5 rounds.